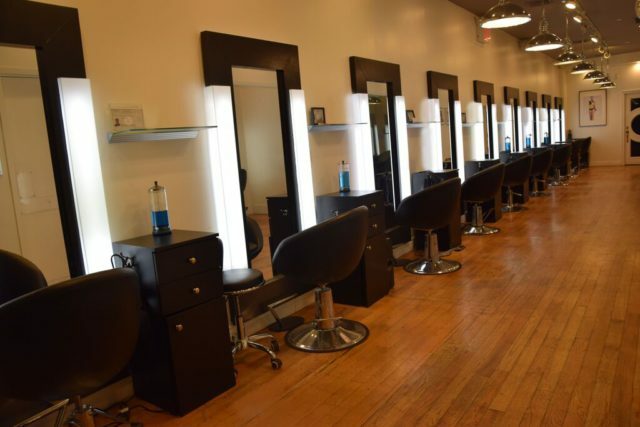 YGallery is a trendy Hair Salon located in New York, New York. Not only is this Salon trendy, their hospitality is impeccable, their atmosphere is very welcoming, and their services are highly appreciated. Not only are YGallery’s reviews superior, their reviews are backed up with 5 stars. Our Mytopface Experts walked into YGallery and were immediately greeted by two young women behind the counter. Stylist and Creative Director Adi Nujeidat then greeted us with the offering of coffee, wine, or water. Following wine and water Adi executed a private consultation getting to know us, our background, and what we were most interested in having done at the time. After consulting, Owner Yaniv Levy introduced himself, the four of us paired off, and the rest was magic! One expert received a special treatment and our other Expert received a special surprise that she herself did not know until the end. 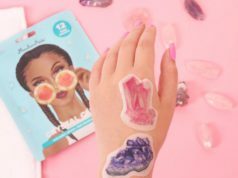 For you interested readers anxious to know exactly what our experts received as well as some beauty insight from both Adi and Yaniv, read on and envision our magical experience. Mytopface: Ygallery has a very welcoming atmosphere that compliments your diverse, helpful, and cheerful team. Walk-in first impression seems very important to you, please elaborate on why. Y Gallery Salon: First impressions of Ygallery salon is important to us because we want our guests to feel a sense of comfort as well as professionalism that will carry on throughout their entire experience. Creating this type of energy is what drives our artist’s creativity; which results in great hair services that will give our clients a reason to return. Mytopface: Why is a private consultation with a customer crucial before starting any service? Y Gallery Salon: A private consultation is important to have with all clients, those new and returning, in order to specify what results will be obtained in regards to what the customer is looking for. Sometimes a person’s occupation or workout routine changes and they may need something in order to maintain a certain look or maintenance, and we look for those details in every consultation. Mytopface: Our first Mytopface beauty Expert received a trim, Gloss Treatment, and blow out. For our curios readers, what benefit does the gloss treatment provide to one’s hair? In the picture above you can see the before of what the hair of our expert’s looked like. Different colors, heavy ends, split ends, and damaged hair. Y Gallery Salon: Our Gloss treatment is most commonly used to add a luxurious shine to the hair, without the use of heavy products, or much maintenance. However, throughout time, gloss treatments have been proven to reduce frizz, as well as giving off some slight benefits of a keratin treatment. Mytopface: How beneficial is a trim? Old beauty tale says that a trim can help one’s hair grow faster, is that true? Y Gallery Salon: Hair trimming is very important to the health and structure of one’s hair. Dry and split ends cause frizz and breakage. If unhealthy ends continue to go uncut, the damage continues to grow up the hair strand, causing double the amount of breakage. Breakage then results to uneven length and unwanted layers. Therefore, cutting the damaged ends by trimming allows healthy hair to maintain its length as it grows. Mytopface: After our expert received her blow out her hair looked rejuvenated, healthy, and glossed to perfection. What are some common misconceptions about blow outs that you can set our readers straight about? Y Gallery Salon: A common misconception with not only blow drying, but applying heat to the hair in general is that your hair will break off. That is false. In this case, products are vital! Heat protectants are vital as well as shampoos and conditioners. Timing of how long heat is applied and heat temperature also matters. A hairstylist should be knowledgeable and able to determine how much heat to apply to every hair type. 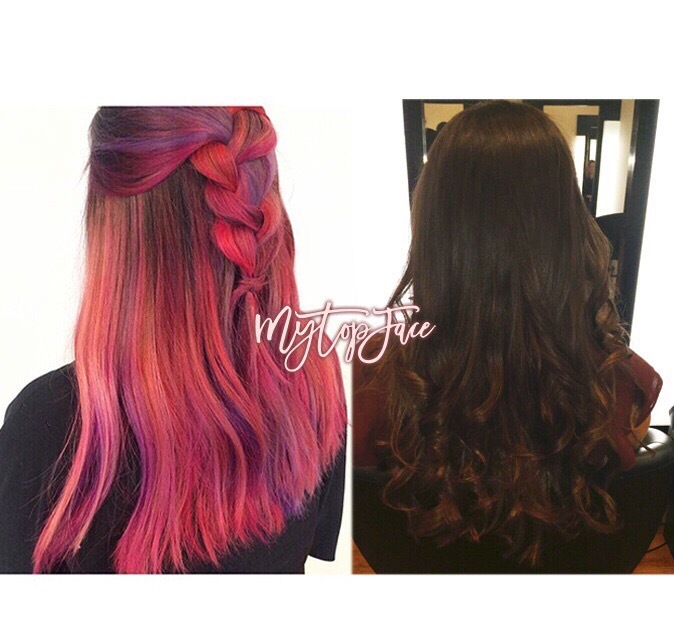 Mytopface: By surprise, our second Expert from Mytopface received a “Fantasy Colored” hair color, trim, and blow out. Her hair was a beautiful array of rainbow colors with red undertones. What made Adi choose that surprise and color palette for our expert? Y Gallery Salon: The color palette was chosen for your expert based off of her personal style, age, and personality. Young, fun and vibrant! With looking at the before and now seeing the after, you can tell a major difference. Aside from the obvious super cool colors, each head of hair looks refresh, rejuvenated, and super healthy. Mytopface: Once the bleach was put on the hair to lighten it before adding the crazy colors, Adi recommended sitting in the sun for ten minutes. What help does sitting in the sun bring? Y Gallery Salon: As Adi works, his creative mentality flows and his image comes to life during each and every process. This is what has allowed him to achieve great success in this industry. His sitting in the sun suggestion was suggested as natural heat allows for the hair to process slightly faster and efficiently. Mytopface: Once the hair of our expert was dyed, washed, and blow-dried, Adi trimmed our expert’s hair as he explained why ends should never be heavy. Please explain to our readers why ends should not be heavy. Y Gallery Salon: The ends of this particular haircut, did not need to hold weight, because the cut has to compliment the color. In which the color had much texture, the cut needed texture as well. There are times where some haircuts should remain heavy to achieve a desired look. Mytopface: What is your new Tel Aviv highlights technology? Y Gallery Salon: The new “Tel Aviv Highlights” technology is based off of achieving colorful, yet natural-looking tones, in a healthy way, by not over processing the hair or causing damage. Mytopface: YGallery has been featured in press such as DailyFashionMag, Happi, Foxx, and more. To what or whom do the both of you owe the success of your salon to? 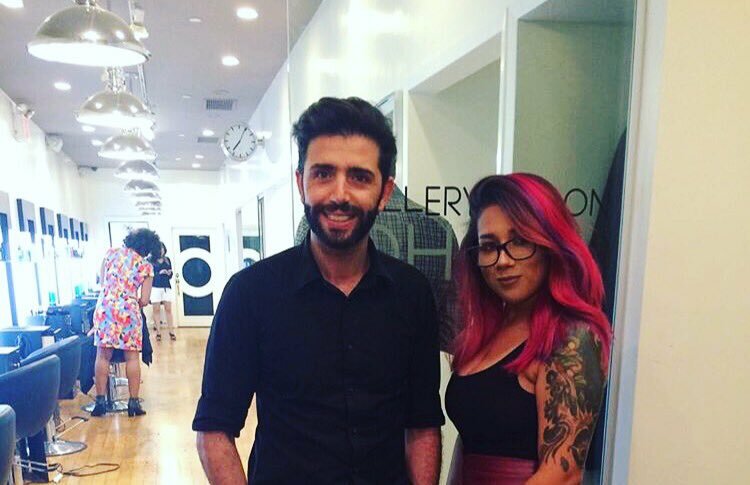 Y Gallery Salon: The success of YGallery salon is owed to the entire staff. We make sure to choose employees who are passionate about what they do, creative, personable and compliment the energy that we like to provide to our clients. The YGallery salon staff is more like a family. We are all willing to help one another. Mytopface: Currently, what are your favorite trends in the beauty industry? Y Gallery Salon: Currently, our favorite trends in the beauty industry are the ones based on playing with color tones. Which is what inspired the “Tel Aviv” highlights. 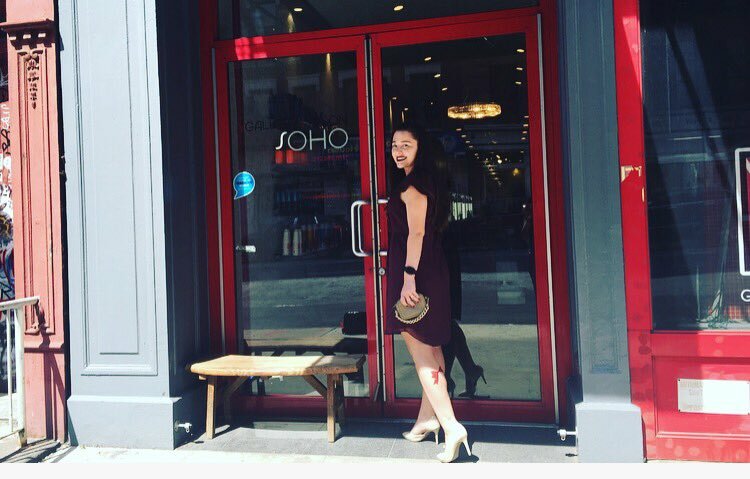 Mytopface: YGallery is one of the top beauty salons in Soho. Does expanding the YGallery Salon to other locations sound like something that will happen anytime soon? Y Gallery Salon: Yes, we do plan to expand YGallery salon in the future. 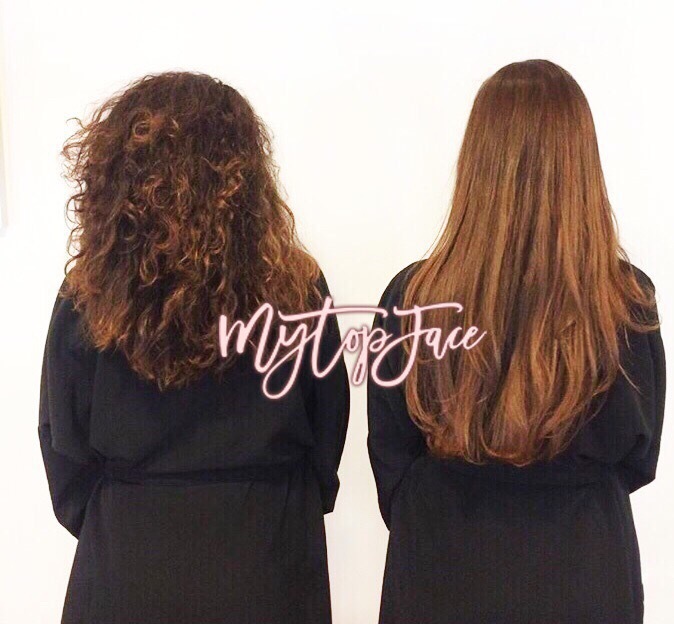 Mytopface: Lastly, what advice can you give to any curious reader looking for a way to make their way into the Beauty Salon industry? Y Gallery Salon: Anyone looking to enter into any industry of beauty should research educational opportunities in their area and start with the basics. That is what will build your foundation. While in the chair our Experts got to know both Yaniv and Adi on a personal level. Yaniv started experimenting with his artistic side at the age of 17. Working with Israel’s top stylists, Yaniv gathered a lot of experience just before moving to Los Angeles. 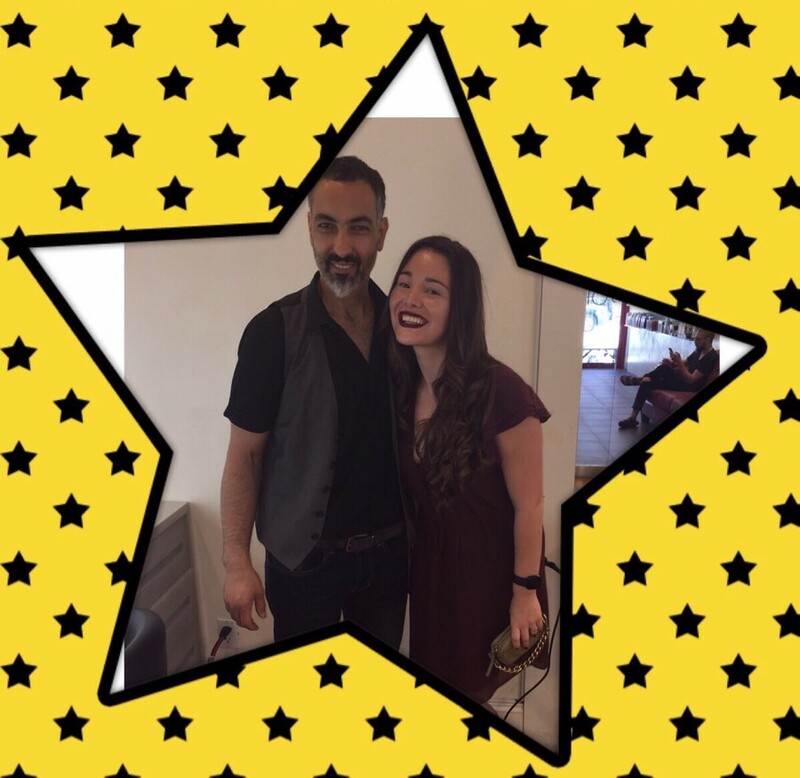 Los Angeles is where Yaniv went on to work with celebrities, earning his title as the “Blonde Expert.” Then moving to the east coast Yaniv became an even more superb hairstylist, an educator, a salon manager, to then opening and managing his very own Salon. YGallery is now a growing New York success. Adi has been in New York for three years after moving from Israel in order to fulfill his dreams. Adi has worked in Milan, Rome, Italy, Germany, and now he is here to take the inspiration he receives from the city and applying it to his work. Adi has started doing hair since the age of 15, now Creative Director of a Salon. His vivid imagination as well as talent is mixed together to create and shape masterpieces he calls his own. Both Yaniv and Adi take their backgrounds and mash the two together, working as a team. Our experts watched the two professionals work side by side, doing what they do best, and we were highly impressed. The Salon atmosphere is already enticing, but with the presence of these two, you can not go wrong. A Salon is a place of relaxation, enjoyment, fun, and a sense of peace. Y Gallery fulfills every category of all things and experiences that are positive. We here at Mytopface would like to thank YGallery, the staff, specifically Yaniv and Adi for making our surprise glamorous and just as eventful as a red carpet experience. Our hair is now replenished with a special touch. Beauty would not be as fun without a quick lip application then a selfie to set it off. Check out some cool insight on Love Light Lips and our cool Phone Case from Scarlet & Gold.